Do there exist, in France, other statues, busts or paintings depicting Beethoven? I don't know of any more. If you have any information, don't hesitate to tell me. Thank you. 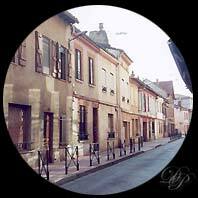 In the meantime, there exist numerous towns and cities in France which honour Beethoven in naming a street after him: Toulouse, Grenoble, Valence, Riom, Châteaubriant and Epernay are some of them. 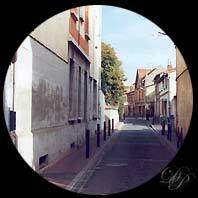 There exist also schools named after Ludwig van Beethoven, in Montpellier and in Saint-Germain en Laye, a Beethoven gymnasium in Epernay, a retirement home in Arcachon, a centre of auditive re-education in Le Petit Quevilly (Seine Maritime), a CAMSP (Center for young people with handicaps) in Rouen, a block of flats in Nice, and a van Beethoven hotel in Saint-Julien de Peyrolas (Gard). 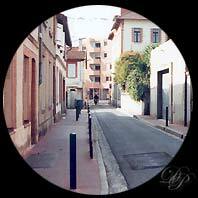 There is a small street in Toulouse which carries the name 'Rue Ludwig van Beethoven'.